I´ve decided to start writing my Morning Pages in my Google Drive account. A few weeks ago I was watching a video from Lavendaire on YouTube about her mid-year goals review and she spoke about what she had been focusing on, what she needed to work on and what she was proud of. I thoroughly enjoyed her video and it made me want to check out her website to read/watch more of her content. While browsing around her site I found a topic on Stream of Consciousness Writing or what is also known as Morning Pages. I remember watching a video about this (perhaps from Lavendaire herself) a few months back, around the time that I was really into watching videos about journaling and such, and well the topic intrigued me. The idea is to write 3 whole pages first thing in the morning without giving too much thought about what you're writing. I´ve always had a difficult time keeping up with my journaling but when I bring myself to write (either on my journal, or on the computer) it really motivates me to keep going and makes me learn more about myself. Well, I was really considering the thought of starting a new journal (because we all know I have SO many that are itching to be used) and dedicating it to my Morning Pages. However, as I was researching about the topic on other blogs from around the web, they say that the essential part in this “exercise” is that it has to be done in the mornings (hence the name), and even better if it's the first thing you do when you wake up. It´s supposed to be when your brain is most active and has the most potential to think. My problem in this is that I have to go to work in the mornings at an early hour, and I usually spend my time, since I wake up, getting ready and fixing my “take away” breakfast, so finding a moment to sit and write 3 whole Morning Pages seems impossible. I have been using Google Drive for the past months for my website content because I can access it from anywhere and so I got to thinking, why not write in here? 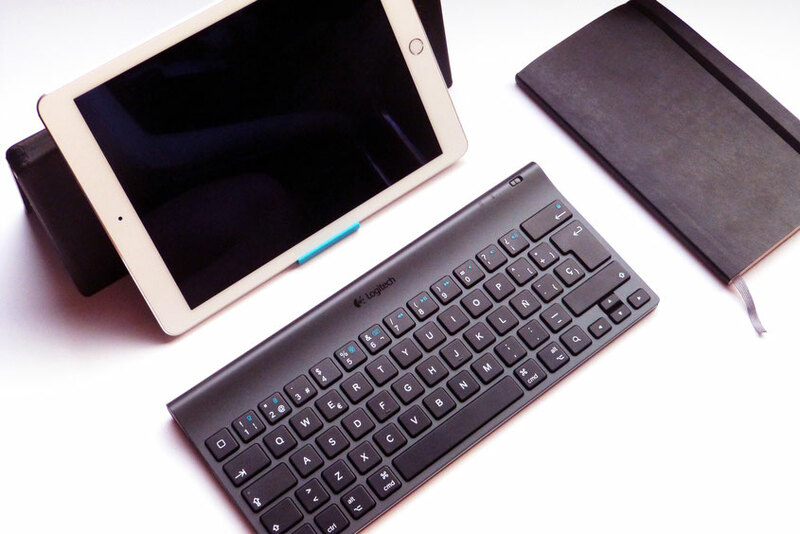 It´s always more effective when you actually take a pen and write by hand, but let´s face it, sometimes the keyboard is my best friend. I know, I know, this goes against my entire belief of using paper to plan and design my life, but let's be honest, it takes double the amount to get my thoughts on paper (and sometimes I have A LOT to say). Don´t blame me though, because maybe this will change in the future and a few months from now I might end up grabbing that empty notebook. For now I find that the computer/tablet is probably my best option, and if I don't have a lot of work to do, I can do this first thing when I sit in my chair at the office. If I can at least get in a few doc pages, then I can consider the exercise complete and a success. I´ve created a specific folder called “Morning Pages” and inside sub-folders for each month. Every day I open a new document and save it with the date as my file name. This way if I want to check what I was thinking on a particular day I can easily go to that file and read about it. Surprisingly, I have been quite consistent in my writing. I find that it takes me between 20 to 30 minutes to complete the exercise, which is perfect because it means I have plenty of morning to do other things (like work, hah!). The first few entries might be your longest and might take up more time. But once you get the hang of it, each day will become much easier to complete. You need to find your routine and practice jotting down your thoughts. I always like to start my Morning Pages talking about my plans for the day. Sometimes I ramble about something that happened to me the day before, and other times I talk about my dreams. It´s your own personal process, there is no right or wrong way of doing it. It needs to feel right to you. Writing everyday is scientifically proven to have countless benefits. From my experience, I´ve noticed that it has helped me tremendously in getting a ton of creative ideas. I have high hopes in reviving my blog and sharing valuable content with all of you, so by writing about my daily thoughts and rambles in my Morning Pages, I´ve gotten SO many ideas for blog posts that you can´t even imagine! I´ve written 2 whole pages in my notebook of ideas that I´d like to expand one day in my blog. Stream of consciousness is no joke, by describing about one topic you suddenly think about another topic, one idea bounces off another and the creative inspiration is insane. Writing everyday has also allowed me to become more productive with my weekly plans. When I write about what I´d like to get done, I´m constantly reminded of it and thus I program myself to actually do it. This way the next day I get to start my Morning Pages and explain about all that I´ve accomplished and feel good about myself. There´s nothing better than starting your morning on a positive thought. 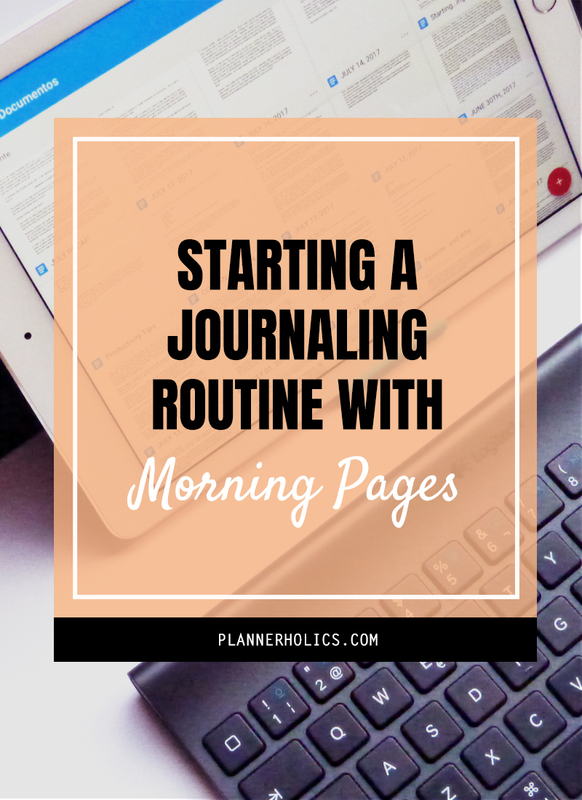 If you´ve been wanting to start journaling and are not sure how or where to being, perhaps Morning Pages is the way to go. Will you be able to stick to it? I´m sure you will, or maybe not, but at least you´re giving it a chance. Otherwise you will never know if it´s something beneficial for you or something that you might enjoy doing. Stream of consciousness should not be a hard thing to do anyway, right? The trick is just to write whatever is popping in your head at the moment. Let yourself ramble about anything and everything, and once you´ve done it for a few days, come back here and tell me all about it. Was it what you hoped? Do you find it helpful? Did you decide on going digital or analog? I want to know, so comment below this post or send me an email at info@plannerholics.com and we´ll chat about it.